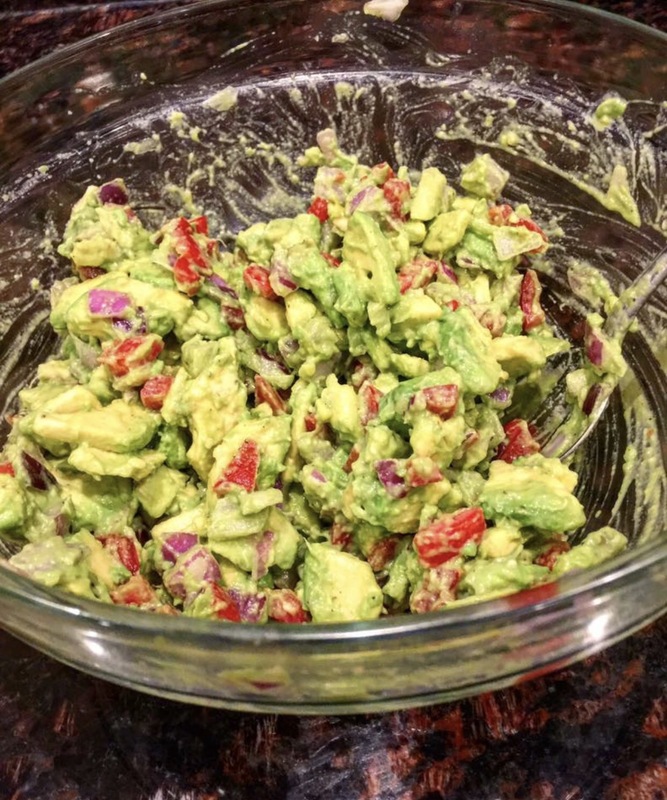 It’s summer time, I love avocado, and guacamole may be one of my most favorite things ever. 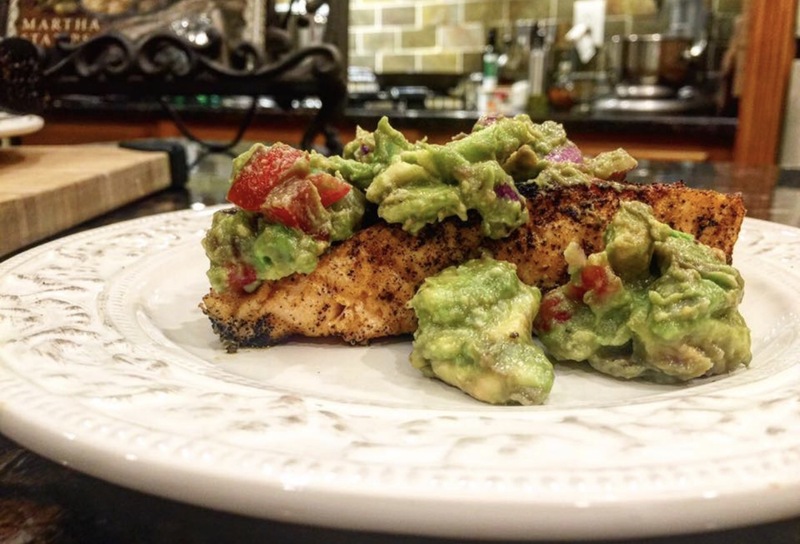 It is a great side with fish, on sandwiches, with keto crackers. I will confess I have been known to eat it plain with by the spoonful (I’m not even sorry). 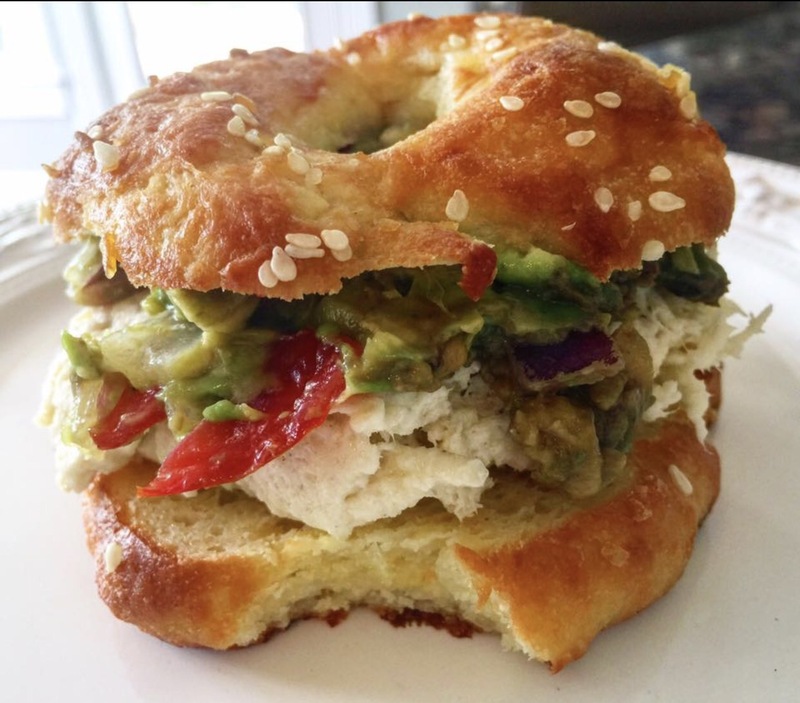 A easy keto lunch, keto bagel with homemade chicken salad & this guacamole, outside on the porch with a big side of sunshine! Or on top of a delicious piece of salmon for dinner. Slide avocados in half and remove the seed. Remove from the shell and dice then add to bowl. Immediately top with lemon juice, garlic, hot sauce, salt, and onion. Mix well, then add tomato last and toss.